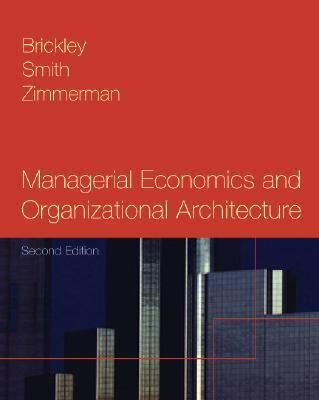 by Brickley, James, Smith, Clifford W., Zimmerman, Jerold L.
Brickley, James, Smith, Clifford W., Zimmerman, Jerold L.
This new approach to managerial economics takes models from recent economics research and applies this research to the internal structure of the firm. After teaching basic applied economics, the authors look inside the firm and apply this analysis to management decision making. The general model used for this application is organizational architecture. Organizational architecture consists of three aspects of corporate organization: the assignment of decision rights within the company; methods of rewarding individuals; the structure of systems to evaluate the performance of both individuals and business units. These three components can be likened to a stool with three legs. If one of the legs is shorter, the stool is out of balance. These three elements must be in balance in the organization as well.Brickley, James is the author of 'Managerial Economics and Organizational Architecture', published 2000 under ISBN 9780072314472 and ISBN 0072314478.